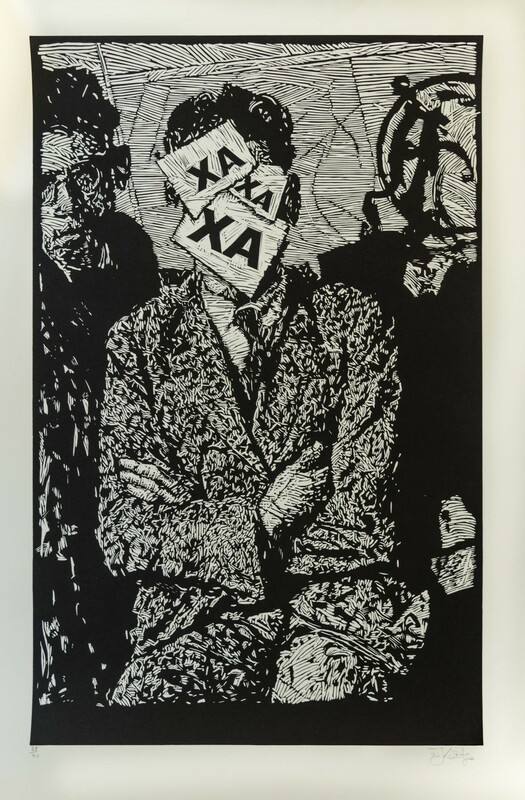 We extend our warmest gratitude to William Kentridge, a prominent South African artist of Litvak origin, for donating his artwork “XA XA XA“ which has arrived at the Museum on May 10. It is a linocut, dedicated to the crackdown of Stalin’s opponents. The artwork portrays Nikolai Bukharin, a Bolshevik condemned to death, in whose final story laugh and death are intertwined. We also thank Lithuanian diplomat Gediminas Kuras for transporting this valuable gift from South Africa to Vilnius.